Longing for those warm summer days? 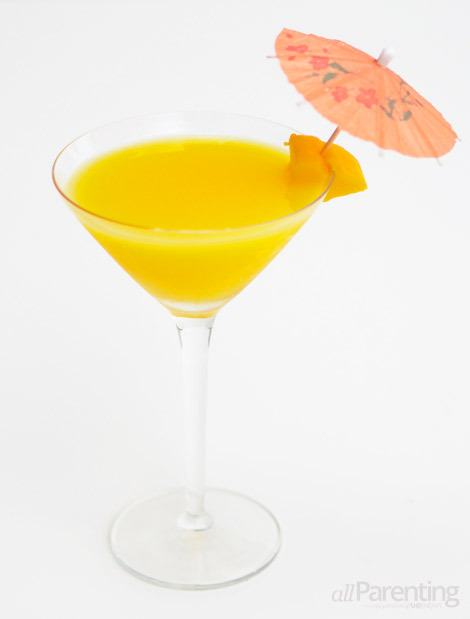 Why not gear up and get ready for the season with a sweet mango martini. One sip and you will be taken away to the relaxation of a warm, sunny tropical island. Nothing is more delicious on a warm summer evening than a mango martini. What's even better? It's fabulous to sip on its own but also pairs great with food! Mango cocktails pair well with both Indian and Thai food. The spicy, lingering burn of spices is counteracted by the soothing mango puree. A mango martini is also the perfect drink to serve at a summer barbecue or even in the morning for a summer brunch since it's a close relative of the mimosa and screwdriver! Making homemade mango puree is easy and adds extra freshness to the drink! *If making more than one martini, double, triple or quadruple the recipe depending on how many you are making. Add all ingredients to a small blender or food processor. Puree until smooth and creamy, adding water as needed. Fill your martini shaker with ice. Add the vodka and mango puree to shaker and shake vigorously until well combined. Garnish with a wedge of mango and enjoy!